Growing Conditions: Full sun. Lean, gritty, well-drained soil. From Ottawa Valley or eastern Ontario sources: Found on rocky shores. Our seed is from garden sources. Remarks: The easiest of the Canadian Drabas, most of which are from the far north and are intolerant of heat. 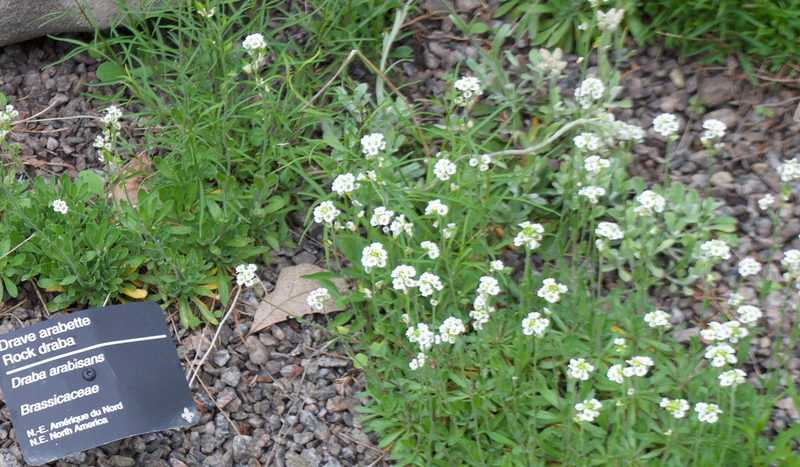 Rock Whitlow-grass is a nice little plant for troughs and scree gardens.